← It’s All About Popular… Lar, Lar, Lar, Lar! 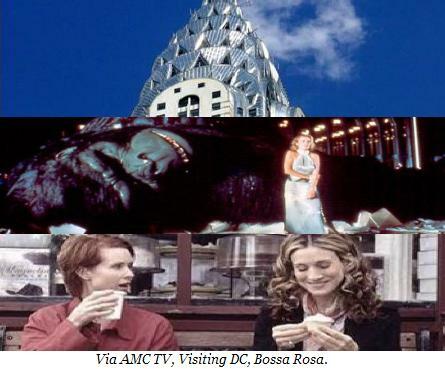 “Cupcakes are just a symbol for the shiny Bloomberg-ized, Carrie Bradshaw-defined boutique city New York is turning into. I grey up during the 1970s, when the old New York—‘King Kong’s New York’ if you like—was still very much in evidence, and would be well into the ’90s. Like you, I’ve watched, often in horror, and particularly over the last decade, as the city has been transformed into something nearly unrecognisable and sadly lacking in character. “I certainly have nothing against the cupcakes themselves. Shortly after I handed this cartoon in, I tried a Magnolia cupcake for the first time. It was good. I suppose I could have written ‘Twas Marc Jacobs killed the beast’, but cupcakes was funnier, and it won’t get me sued. 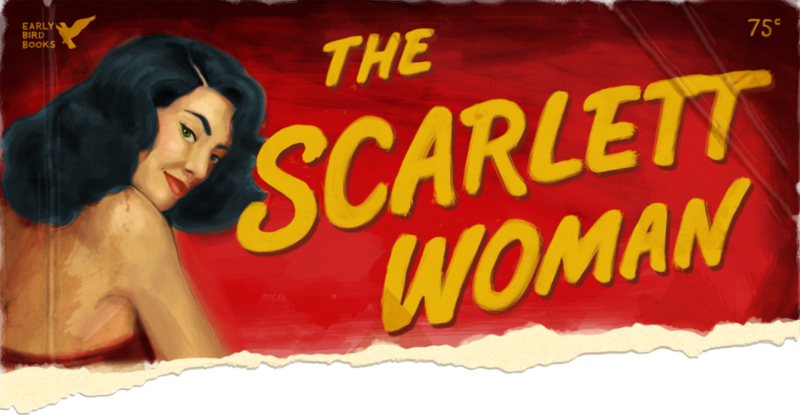 “… But to answer your question about how New York being overrun with cupcake shops, and the (designer) baggage that goes along with them, can kill a 25-foot-tall ape, it is in much the same way that ‘beauty’ did him in—by breaking his heart. Related: Let Them Eat Cake… And Wear Headbands. 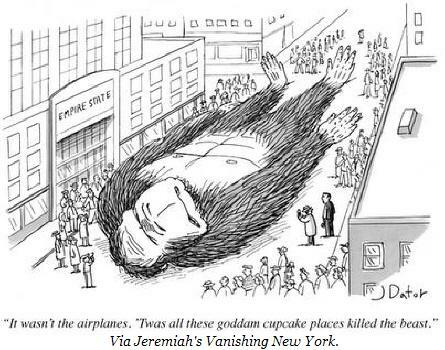 Elsewhere: [Jeremiah’s Vanishing New York] King Kong & Cupcakes.